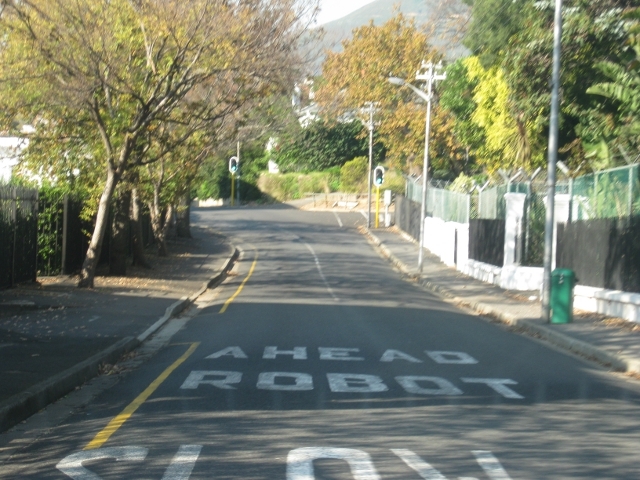 Imagine my disappointment when the robot was just a traffic signal. Oh this totally made my day. I would have expecter R2D2 or something. I never would have guessed it was the traffic lights.